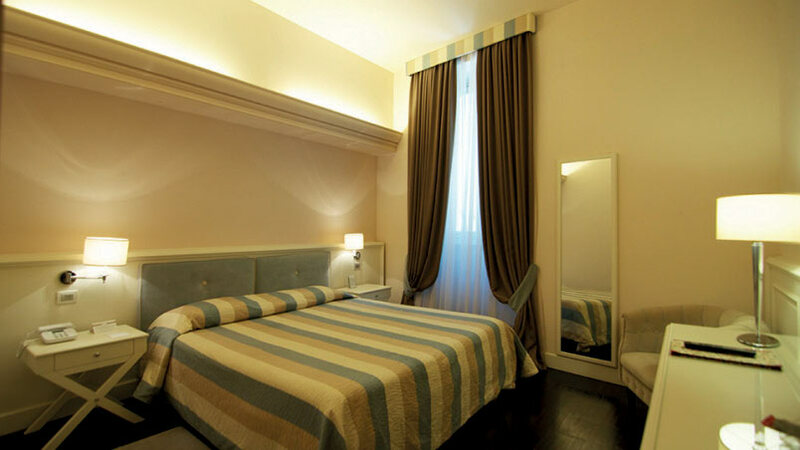 In the historic heart of Pistoia Patria Hotel offers modern rooms with free wi-fi access. 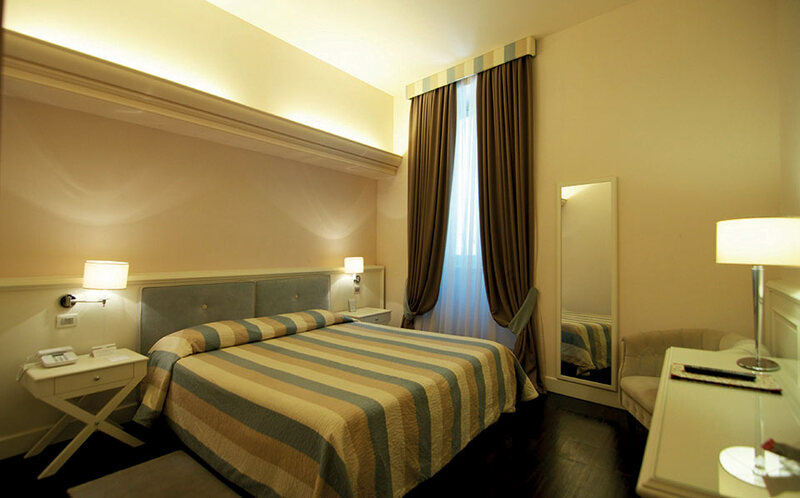 Just a short distance from the cathedral and the town’s sights and five minutes on foot to Pistoia railway station, Hotel Patria’s rooms are elegantly designed with marble bathrooms, air conditioning, LCD TVs with satellite channels, mini bars and hair dryers. Our buffet breakfast is served in our breakfast room from 7 to 10 am. Room service is available on request. In a perfect position to explore Tuscany, the hotel is just 30 minutes by car from Lucca and around 50 minutes from Pisa. Montecatini Terme, spa town, is 15 km away.